Just when you think you are sick of Coming Out, Coming of Age films… just when you think you are too old for this, and have come out too many times to even care anymore… just when you are beginning to think that teenagers have it really easy, with all the legal advances, media visibility, and social cushions these days… along comes ‘Pariah’. No, coming out is not always easy in the West. Yes, self-hatred and lack of understanding still often have to be faced. No, if you are poor, or if you are black, or if you are alone, your experience of injustice does not necessarily make gayness less oppressive. Yes, finding a friend may still be more crucial to your wellbeing than finding a lover. No, the world is still not a safe place for lesbians and gays. First time director-writer Dee Rees came up with this puncher film when we were emerging from the “Lipstick Lesbian” period, when we had lost track of all the depolitizised, Barbified queer female characters everywhere in film and TV. ‘Pariah’ feels like a documentary. The amazing cast has much to do with it. But the fly-on-the-wall feel is a key strategy. 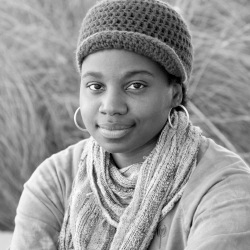 Dee Rees, the latest lesbian portent to come out of the USA in recent years, is saying: “Look. Life is also like this. Look. Somewhere, today, not far from the unqueried comforts of ‘gay lifestyles’, we are still pariahs."